Well, in order to deliver the best service possible, we believe we need to provide outstanding products at affordable prices. Furthermore, we're able to offer an extensive range of new season materials that will fit perfectly with any style. We make sure that all of our customers are 100% satisfied on all installations that we carry out. Why? Well, we feel recommendations are an important factor within any business, which is why you can rely on us to provide an outstanding service. "Just a quick note to say thank you so much for the service you gave in measuring, supplying and fitting our vertical blinds. 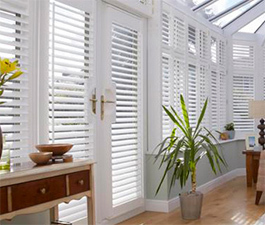 From the very first point of contact you were courteous, professional and friendly and every step of the process with Yorkshire Blinds has been easy. Very rarely in these times do you get what I always refer to as old-fashioned proper customer service but I thought you had it spot on! The price was excellent and the quality is obvious. There was no cleaning needed and the whole installation was complete in half an hour. Quite brilliant! I would have no hesitation in recommending your Company to anyone and I am already planning for the rest of the house to be done. Once again, many, many thanks to you!" 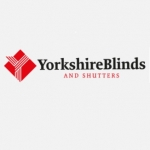 "Yorkshire Blinds were recommended to me by my friend, because i work long hours it was only possible for me and my husband to arrange an appointment on an evening or a weekend, This was not an issue and Paul as promised turned up at 7.00pm prompt. After measuring up the conservatory Paul showed us many samples of fabric and explained the advantages and disadvantages of different types of blinds available, we eventually opted for black verticals. Paul contacted us soon after to arrange to come and fit them, and they look fantastic. I was really impressed with how punctual he was, how helpful he was and how much pride he took in his work even cleaning up afterwards. Thanks alot Paul we are really pleased with them and will contact you soon when we want the ones in the room doing."